Effer 175 – Light Effer Crane – Easy to use and Ultimate Blend of Power and Performance! 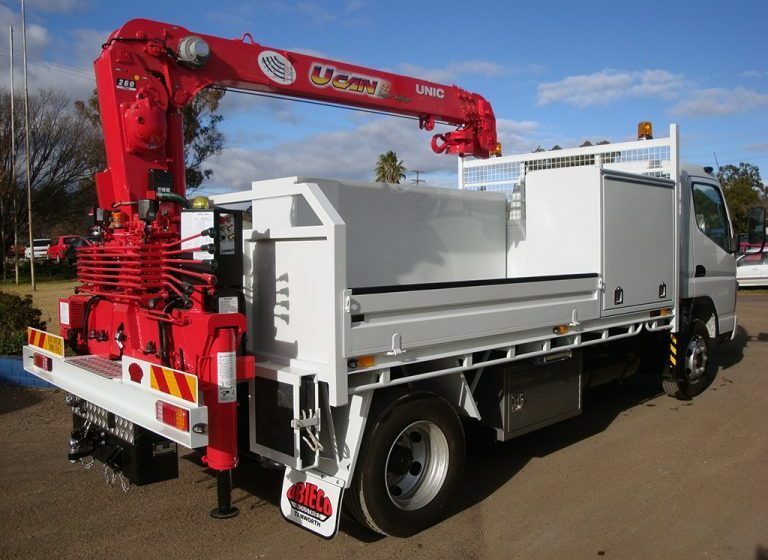 Why not start off the New Year with a new UNIC Truck Mounted Crane or UNIC Mini Crawler to add to your fleet? UNIC cranes are renowned for their mobility, rugged reliability, and high productivity. Manufactured to the highest standards in design, durability, and safety, UNIC cranes ensure optimum performance on the work site. UNIC cranes are available as truck-mounted cranes or the highly compact and mobile mini-crawler spider cranes. Whether truck-mounted or stand alone, all UNIC cranes offer the same characteristic advantages. The hoist-winch and long telescopic boom, along with excellent hydraulic components, are behind the performance of UNIC cranes, perfect for lifting heavy cargo. The advantages of UNIC’s straight-boom configuration make it perfect for work in confined spaces, over walls, and situations where high degrees of load placement accuracy are required. On truck-mounted models, the straight boom is portable and compact when in the traveling position, but stretch out long in operation. They are capable of handling not only the cargo on the truck, but also cargo in high places, below ground level, or placed at a distance from the truck. The cranes have a 360-degree continuous range of motion and a wide spanned outrigger to make the crane stable and safe. UNIC Mini Spider cranes are the perfect tool for confined space working and are highly maneuverable as the job requires. The Mini Spider cranes are available in a range of models with lifting capacity up to 10 tonnes, with most models being able to travel through a standard double-sized doorway. The UNIC original stability sensor system provides the benefit of turnover protection for safety. Its outriggers allow for independent multi-angle configurations to place the best position in restricted or confined areas. Check our products page to see our range of UNIC cranes or contact the team at Cranetech for more information.